Which Network Listing is Right for Me? I’m thrilled to announce the relaunch of the Urban Worm Network, an interactive map of global vermicomposters and businesses in the vermiculture and vermicomposting industry. What’s Different with Version 2.0? Version 1.0 of the Urban Worm Network launched in 2015 and quickly gained close to 1000 listings between home vermicomposters and businesses. It also became a source of referral income to many of the businesses, a nice little benefit to Urban Worm Network members that I hadn’t expected. But I quickly realized I had gone with the cheapest bidder and found the map got buggier and buggier until I brought in the big guns to help program a much better solution. So starting from scratch, I included the feature nearly everyone asked for: the ability to edit your own listing. For home vermicomposters, this wasn’t a big deal as the only reason to change a listing was if you moved or the amount they vermicompost weekly changed by quite a bit. So for home vermicomposters, you won’t notice much of a change and if you don’t have anything to sell, the basic vermicomposter listing is great for you! Version 2.0 features a bunch of improvements over the old Network. Not only can businesses edit their own listings, but it’s much easier to add your logo to your listing web page. And in the “Comments About Your Business” section, you can mention your products and prices, indicate your location, and get visitors to visit your website. Businesses who sign up for the optional Network Pro membership get a seriously high-powered listing full of features and goodies designed to get you sales ASAP. As a Pro member, your listing will be automatically written to be optimized for your local area, helping nearby customers find your business. And I will check it personally and make sure it’s optimized to my standards. Get your logo on the map! Instead of a boring ole’ pin like everyone else has, make your listing pop on the Urban Worm Network map by using your logo as the marker pin. Get lifetime access to a tool that calculates the current and future financial value of your worms and vermicompost. A customer can find your listing on the Urban Worm Network and get referred directly to your sales pages. Just select your product from a dropdown menu, add your price, and add the web address for that product. Let me send you business! All things being equal, you will get preference for any requests for products in your area. 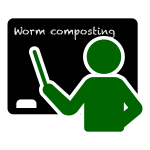 I often get requests for bulk worms or vermicompost orders from all over the country. Let me give you first crack at them! If you’re a social media junkie, get more followers from your Urban Worm listing page. Just enter your profile page for Facebook, Twitter, and YouTube (more coming soon) to get more likes, follows, views, and overall adoration from your fans! ? For a limited time, I’m offering a 30-minute consult by phone or Skype to chat about your own website. I’ll run your site through an audit to make sure your own site is configured to reach local customers! If you’ve been considering joining the Worm Farming Alliance, now’s the time! New WFA members who pay for a year through this link now get a Network Pro listing for one year.